A veteran of the Irish music scene, songsmith Hugh has performed and recorded all around Europe solo and with bands. Highlights have included support to Christy Moore in Berlin's Quasimodo club and Pierre Bensusan in Cesena, Italy; swapping songs with Glen Hansard in a UCD squash court at 6 a.m for charity in 1986 and recording an album of self-written Italo-Irish folk songs with Piemontese band In the Kitchen. “Slopey”, his first digital release - available now on CD Baby, iTunes and Amazon - is an album of melodic and catchy songs showcasing a heart-worn, folk-soul voice, each track carefully hewn from granite-like dedication with trusty collaborator Jason Ellis; think edgy yet tonally rich vocal delivery akin to Ray Lamontagne or even Nick Drake, with Lou Reed the provider of lyrical slant. Operating in the alternative/folk/folk-soul genre Hugh has left plenty of room for a boot-stamp of originality, where styles have a pendulum effect from track to track whilst still retaining soulful identity. Examples of this are heard on the mali-esque playfulness of ‘See Africa', the sheer classic byrdsy tone of ‘Cupidz tune' and the intense brooding on ‘Crime'. Hugh is busy mastering a new album “Clear as day as the night is long” which will be released mid June. Preview tracks are available here and on Grooveshark. Most of the songs on this album were recorded at home in Rush, Co. Dublin where alongside the remainder were taken from his extensive back-catalogue; the recording approach favours an ear for intimacy with the listener, soon drawing you into a broader landscape as the album progresses. Hugh hopes to be performing songs from the new album late summer in and around Dublin. Hugh and wife Sara Jane are also currently writing/recording a separate batch of country and folk songs aimed at female singers. If that wasn't enough Hugh is an active member of Irish-run DJ social networking site www.rocudo.com exploring streamed but remixable electronic music. 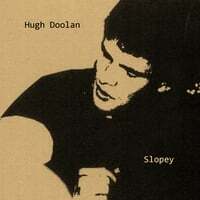 Gather around and take a listen to singer/songwriter Hugh Doolan and his latest Folk/Rock CD, “Slopey.” Doolan takes his well crafted songs and turns them into warm and inviting pieces with his cast of talented musicians. His voice is soulful and embeds a sense of heartfelt sincerity. Sit back and relax to the free and easy flowing song, “Heartlands,” that also feature some well balanced harmonies. “Cupidz Tune” is a catchy song with strong and solid guitar riffs and a charming melody. You’ll like the lively and bouncy beat of, “See Africa,” with lyrics that are melodic and fun. If you’re into Folk/Rock music, then take a listen to “Slopey” as you will really enjoy this wonderful album.